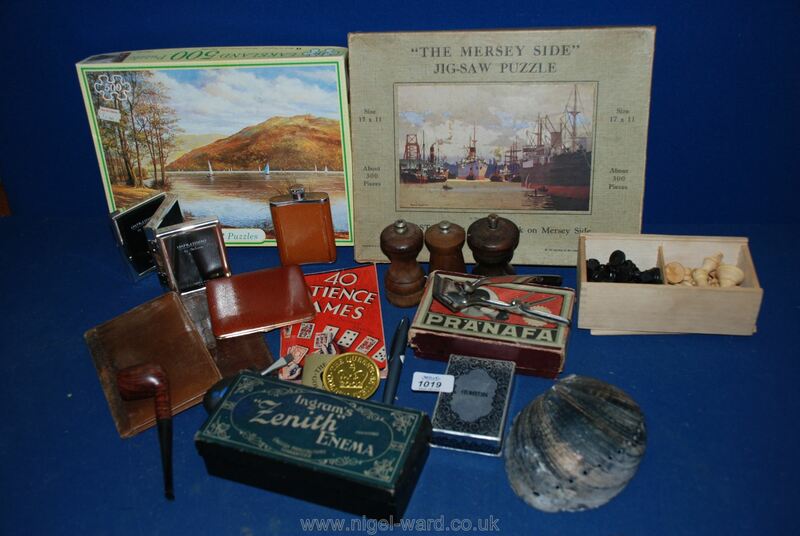 A quantity of miscellanea including wooden jigsaw puzzle 'The Merseyside', salt and pepper mills, pipe, Zenith Enema, wooden chess pieces, etc. Lot 1018 A quantity of wooden shoe lasts, clothes brushes, mincer, etc. Lot 1020 A circular convex wall mirror with a wooden framed with a gold- coloured rim.